When retroactive payroll tax hikes were passed in Albany to support the MTA, State Senator Vincent Leibell, Assemblyman Greg Ball, and other politicians vowed to push for a forensic audit of the agency. Two weeks ago, the Putnam County legislature … Please login below or purchase a subscription to the Putnam County Courier to access this content. Putnam County residents are breathing a sigh of relief this week after learning the New York State Senate renewed a one-percent sales tax extender for the next two years. In April, members of the Putnam Legislature called on Albany lawmakers to ke… Please login below or purchase a subscription to the Putnam County Courier to access this content. 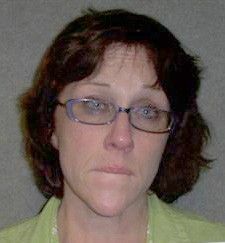 Susan Rogge A Mahopac woman appearing in Carmel Town Court Tuesday evening to answer charges of driving drunk with five teens in her car including her daughter wound up back in jail for violating a court order of protection on an unrelated charge. … Please login below or purchase a subscription to the Putnam County Courier to access this content. 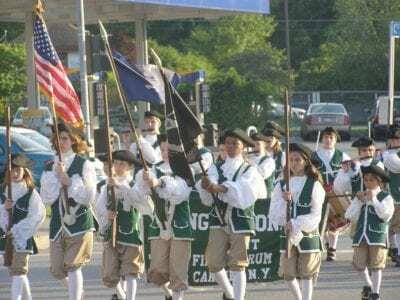 The Young Colonials from Lake Carmel are in step. Eric Gross More than 5,000 people were on hand in Mahopac for the fire department’s annual inspection parade. Last Thursday’s extravaganza was held under ideal weather conditions—cool temperatu… Please login below or purchase a subscription to the Putnam County Courier to access this content. When Segundo Ordonez-Tanay, an Ecuadorian native, posted bail on July 4th, he had no idea his arrest would become a weeklong political drama, highlighting tensions between local and federal officials, and adding controversy to the Putnam County She… Please login below or purchase a subscription to the Putnam County Courier to access this content. A 20-year-old Mahopac man underwent emergency surgery Sunday night at the Westchester Medical Center for massive trauma received when he was struck by the propeller of a motorboat being operated by a man who was charged by police with being intoxic… Please login below or purchase a subscription to the Putnam County Courier to access this content. The Putnam Arts Council’s Belle Levine Arts Center in Mahopac will soon rise from the ashes. Arts Council President Joyce Picone recalled last week that cold February night in 2007 when she, seeing a glow in the sky, turned onto Kennicut Hill Road… Please login below or purchase a subscription to the Putnam County Courier to access this content. Baby—It’s cold outside! The unusual summer of 2009 continues this week with record breaking chilly temperatures. The mercury was recorded at 47 degrees in Carmel Tuesday morning, shattering the record for July 14 of 50 degrees set back in 1… Please login below or purchase a subscription to the Putnam County Courier to access this content.